The play's the thing – so make sure you don't miss it! Thanks to the GALAXY S4 and Note 8.0, finding what's on at the theatre, reading the latest reviews or even writing plays on the go has never been easier. As this month saw the launch of York Mystery Plays, we decided it was the ideal time to round up the best S4 and Note 8.0 apps that every theatre fan needs to know about. The UK Theatre Web (UKTW) has been offering listings, news and reviews on the latest theatre releases since 1995. The UKTW app lets you search for a play by venue, town or person. Whether you're searching for something specific, or you just want to check the top performing arts listings (arranged by top 20 London and regional shows), UKTW really is the place to find, read about and buy tickets straight from your GALAXY S4 or Note 8.0. It also offers a price comparison service and occasional exclusive discounts for UKTW app users, so you can pick up a bargain. If you like to plan your theatre visit down to the last detail, then the StubHub app is just what you need. With one of the world's largest ticket marketplaces (where you can buy and sell tickets) StubHub goes that little bit further and shows you venue plans plus pictures of the views of the stage, so you can be sure of the theatre experience you are buying before you spend a penny. Anyone who has found a theatre ticket bargain online, only to discover later that the reason it was so cheap was because there was a large pillar obstructing the view, will find just the reassurance they need from StubHub. 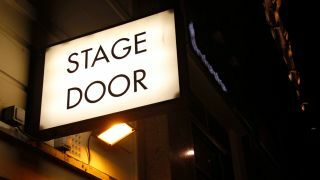 Arguably the home of UK theatre life is in London, and the London Official Guide App (made by the people behind the popular VisitLondon.com website) offers you comprehensive listings for the capital. The 'What's on' section lists highlights and free attractions, gives you directions and allows you to book tickets as well as read overviews and reviews, and you can even see video previews of the plays available. This really does offer you a succinct but informed view of the London performing arts scene. Another great free app to check out if you want to find out what's on in the capital is the "Things to do: London" app from Time Out. AroundMe is a business location device to help you find what you want when you are travelling. It's particularly useful for those with more than a passing interest in the arts. Clicking on the Theatres category not only locates local theatres, showing them on Google Maps (with photos and descriptions of the venues pulled in from Foursquare), it also lists places where you can learn theatre crafts – including theatre schools and places offering music and singing lessons. Want to write your own reviews about the plays you've seen? There is no faster way to get your opinions up on the web than creating your own Wordpress site, and the WordPress app lets you update it straight from your GALAXY S4 or Note 8.0. With a smooth and intuitive interface and a handy side menu that helps you get where you want straight away, it's so easy to get blogging you could post your review about the play you just saw from the theatre bar afterwards. Fancy not just reviewing plays, but writing your own? Then screenplay editor app Fade In Mobile may well be what you need. Specifically designed for touch interfaces, it lets you add standard script styles and has automatic script formatting as you type. It also helps out with character and location names.